If I was going to say one word about this Brand Spotlight installment it would have to be; YUM! Or maybe.. DELICIOUS! or DECADENT! or DIVINE! Oh, it’s too hard to choose just one word when describing the chocolatey goodness that is the Euphoria Chocolate Company. Chocolate is probably one of the top three things on my list of items I must never run out of. And so, as visions of truffles dance through my head, let’s take a moment to reflect on the branding wonders of a Eugene staple, Euphoria Chocolate Company! 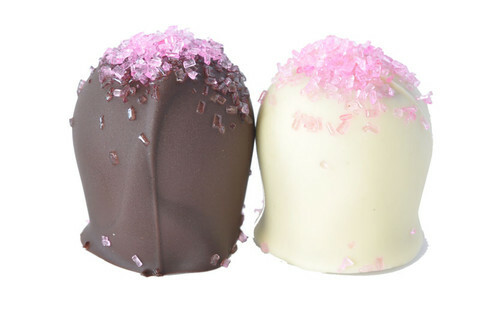 Euphoria Chocolate Company has been sweetening up Eugene, OR since 1980. Though it’s their truffles that truly make my heart flutter, Euphoria offers a wide range of delicious goodies to satisfy any sweet tooth. 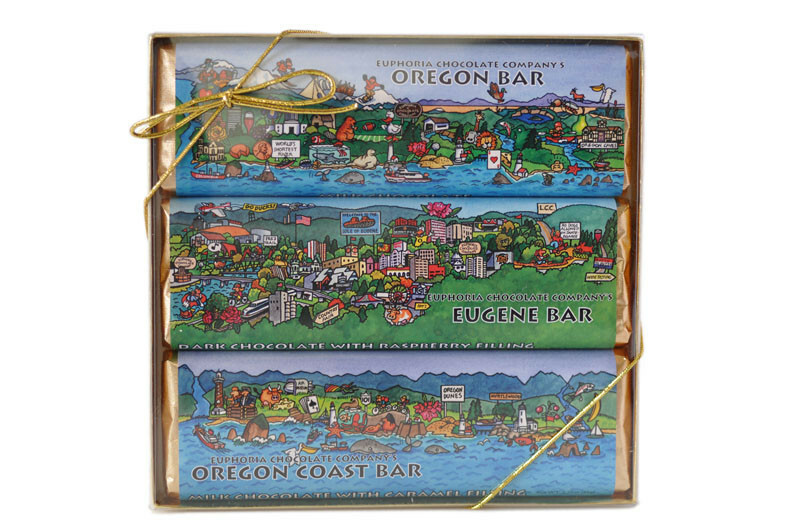 Four Eugene locations make it easy to get your chocolate fix no matter what part of town you are in. Not to mention their new website design now gives you the option to order online. Making your Valentine’s Day shopping that much easier! Euphoria is a 100% locally owned business and they definitely use that to market their brand to Northwest chocolate-lovers. 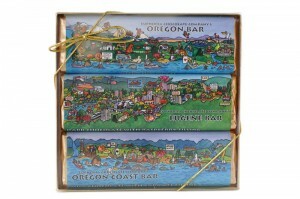 For example, Euphoria offers a line of chocolate bars commemorating various Oregon and Washington cities and institutions, giving locals that homey feeling. Euphoria’s brand allows their product to speak for itself. First of all, their logo design is simple and minimal, making sure not to distract the customer from the product. Simply stated, the logo looks timeless and elegant as it introduces you to the decadence within. As any business, you need to consider how your brand identity is going to work for you. Especially how it is going to portray your company and your product. Sometimes, more is better. Other times however, it is best to allow your product to take center stage and speak for itself. This is just what Euphoria’s brand does, it looks classy on the outside of a box of divine truffles or wrapped around a chocolate bar. And yet it does not overwhelm the product. Another reason why it is especially helpful to hire a professional graphic designer or enlist your local creative agency to help you define your brand. Not that you need any more reasons to fall in love with Euphoria Chocolate company, but they also have a noteworthy online presence. They can be found on Facebook, Twitter, Instagram, and they also have a wonderful recipe section on their newly designed website. They also provide a variety of delightful ways to make use of their various chocolates. As an extra bonus they have a blog page to keep all the chocoholics of the world updated on their latest goodies and to keep their Eugene SEO rankings on the rise. Now it’s time to grab a box of chocolate dipped pistachios and contact your Eugene Creative Agency to see what an established brand identity can do for you!